Its a new day. For us to be best version of ourselves, there are some habits to give up. If you flashback your mind to the previous months, you will see that some things did hold you back from becoming the best you could have been. On your last day on earth, the person you become would be the person you could have become. The reality of most people is that they dream and never achieve their dreams. Sometimes to become successful, you don't need to add to your list. You just need to DELEARN some negative programs. 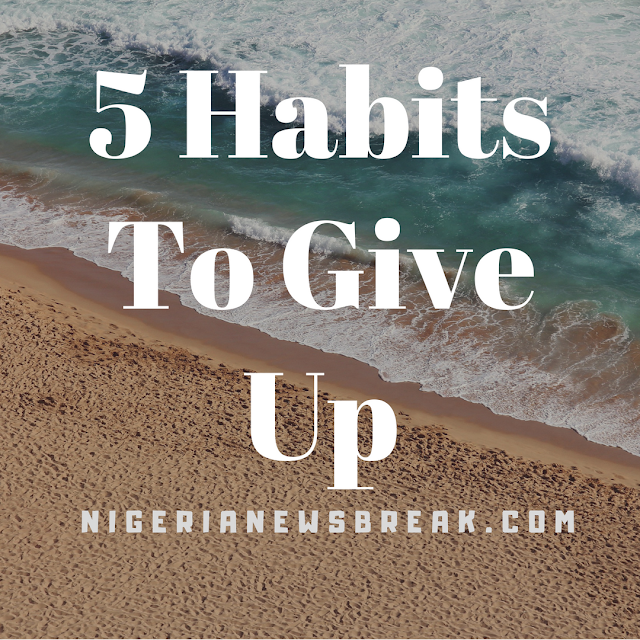 As you go through these five habits to give up, open your mind and after reading, take action. Nothing happens without acting it out. Successful people set long term goals and they know success will not come overnight. They train and make themselves ready. They dream big and break it down into achievable bits. They know everything involves a process and they set out to enjoy the process. People with short term mindset are always in hurry. They believe in get rich quick. They are the people that wanted to lose some weight but could not go out to the gym. They could not give up junks. Yet, they dream of a shape they desire. They spend all their lives dreaming waiting for magic to happen. Daily habits make the big difference in the long term. You've gotta give up playing small! Reach out for the moon, if you don't land on it, you will have stardusts on your hands. Whatever you want to become is your business. Not mine! It is high time you started directing your life like the CEO you really are. Dream freaking BIG! Dream lofty dreams, as you dream so shall you become. Take full ownership of your life. Remember, winners run through the finish line. Winners always come up with reasons why they can. Losers always give 1001 reasons they can't. They simply forgot the world belongs to those that say we can! Whatever you lack, get it. Be resourceful. If you keep giving excuses now, when all is said and done, excuses are what will be your lot. Give up excuses! Discipline yourself. Shun the path of least resistance. 4). Give up your need to be liked! If you ever want to be liked, if you ever want to please everyone, you aren't likely going to be successful. Stand for your own truth. Stand for what you believed to be right. Do what pleases you! Give up people that are not in line with your system. The people you hang around with, you become. If you hang around with toxic people, you become one. If you hang around with losers, you become one. 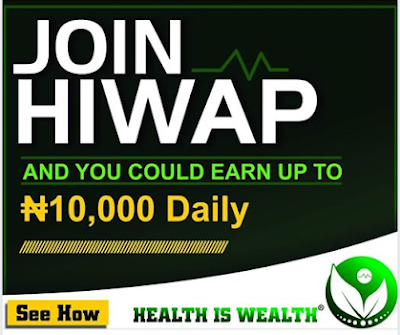 Hang around with winners and become one! Remember, you are the average of 5 people you spend most time with. Reach out to like minded people. What other habits do you think are harmful to us? Share with me in the comment. Written By: Obembe Sunday D, RN.